Bowser’s group had a starring role in the last game, Mario and Luigi Superstar Saga + Bowser’s Minions and there will be another mode similar to that in the new game too. Could you tell us a little about the development of those modes? When making the last game we worked on the visual performance and also player abilities, but even though this is a remake we were looking for something new we could do that would fit into the Mario and Luigi formula. The story in the original Mario RPG was really enjoyable, and we thought the fans would be happy if we dug deeper into that. So the new mode become the backstory of the Bowser group. For this new remake too we went along the same lines, and because until now Bowser Jr.’s story has not been told, we decided to focus on his actions. What was the main reason you chose Bowser Jr.? Who are the BFF Company? Originally they were the henchman of the evil scientist Fawful and fought alongside Midbus. Since then they have distanced themselves from Fawful and the three of them run a shop that sells all sorts of things. The truth is that they are the same race as Midbus, which is why they have the same skin color, but their relationship with him has soured. Anything related to that, much like Fawful himself, is shrouded in mystery. What parts of the game were you especially keen on changing for the remake? Fundamentally we didn’t want to change the gameplay or the parts that were appealing in the first game, but instead tried to improve aspects of the original interface that were difficult to understand. For those that have played games in the series before and also those that are new to them, we developed the game to be more user-friendly to play. In general production of the game too that way of thinking didn’t change. We made the choice between those parts that seemed better presented in 3D and those parts we thought would benefit from a little more dynamism. Then we remastered based on that. Why did you choose to update some of the music? For the battle against Dark Star, one of our development team happened to be a fan of the previous game and he went back to play it again. He really wanted us to make a more stirring score for that battle, so a special track was made just for that fight. We also came up with something new for the fight against Fawful. A lot of the other BGM has also been re-arranged, so please play the game to hear it for yourself! Why was the original music included in the sound test mode? That was a kind of service to fans of the original. They can listen to those songs and feel all nostalgic. I also think that it’s fun to be able to compare the original tracks to the ones that have been re-arranged. As great fans of the original game ourselves, we’ve made this title with to precision, enthusiasm and care in every little detail to ensure we don’t betray the expectations of both established and new fans. 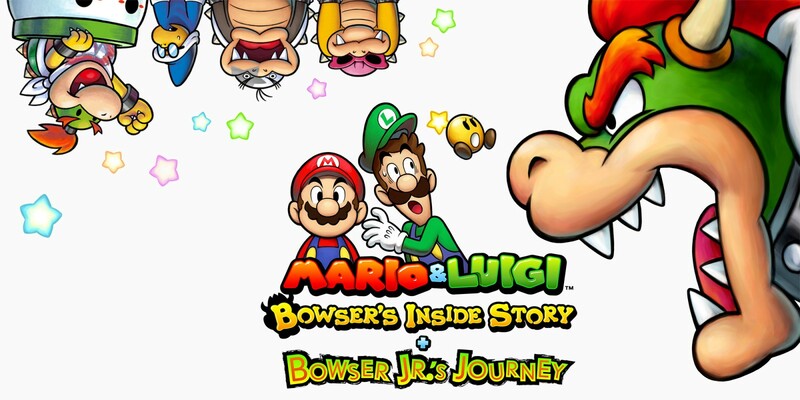 There is a lot new to see here, but we would like fans to especially experience the huge and exciting battles of the Bowser Jr. story, the depth of which is on par with the main game. Because this is a package of two games in one package, players are getting not only plenty of playtime but also a rare focus on Bowser and, in Bowser Jr., the moving tale of growth of a character not usually afforded the limelight. No matter the player there is plenty to enjoy in the game. Please play it!